Despite the sinking of the Lusitania in 1915, the virulent campaign of the “hawks” led by Teddy Roosevelt, the sabotage of Black Tom and the Kingsland Explosion in New Jersey, Woodrow Wilson’s neutrality position, sustained by the majority of the opinion, stood firm. But after 1915, the Preparedness Movement (aligned with the Republicans) grew fond of the idea of stronger naval and land forces for defensive purposes. An “Atlanticist” foreign policy establishment emerged, first calling for an UMT or “universal military service”, but opinion hardly followed. As a response, the democrats led by Wilson endorsed the idea of a long-term naval building program to get on par with the Royal Navy around 1920. This plan was largely supported by the admirals, largely approved of the ideas of Alfred Thayer Mahan advocating an all-battleship fleet, whereas destroyers were needed due to German ASM warfare. But, in the meantime, the army was payed scant attention and there were some doubts about the readiness of the national guard. Eventually, Secretary of War Lindley Garrison militated to put the emphasis on large federal reserves. As a national debate reached new heights, in May 1916, it was decided the Army was to double in size (11,300 officers, 208,000 men) as well as the national guard, bolstered to reach 400,000 as summer camps were raised. But this was far away from what the preparedness movement stood for. In June 1916, however, following the battle of Jutland and despite the naval plan eventually obtaining concessions, the naval aviation plan was funded, and most importantly, a state owned armor-plate factory was developed. This general timidity encouraged the German Empire in its unrestricted submarine warfare, which eventually could only lead to war, but the delay required to get the US army/navy to have sufficient strength to intervene decisively in Europe was worth the price. Until then, armored cars never received much attention from the army, although early experiments took place with the cavalry in 1914. Many car companies, from the Detroit giants to more modest personal-held factories, were all capable of delivering armored cars on a relative short notice. However, building armored plates was only reserved the newly-created Detroit Arsenal. 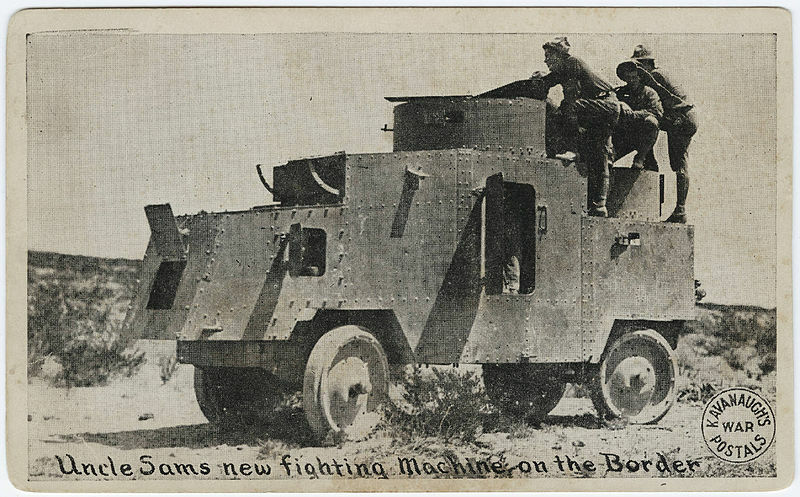 Its first creation was the Jeffery armoured car number 1, which was sent in 1916 in Mexico to deal with Pancho Villa, alongside other models from various manufacturers. For the White House to declare war on Germany, it needed a hostile environment. Germany did resume unrestricted ASM campaign in January 1917, but the casus belli was obtained through Zimmermann Telegram intercepted by British intelligence, promising money to Mexico if it joined the war alongside Germany. It was promptly passed to the US embassy, sent to the White House, and it stirred up a lot of scandal in the press. It took seven more U.S. merchant ships which were sunk before Wilson called for a declaration of war to be approved by Congress. The Soviet revolution only added credit to this position and lifted previous apprehensions related to fighting alongside an autocratic monarchy. Germany’s cold calculation for winning the war on the western front almost paid off, due to the combination of America’s unpreparedness to send troops on the continent before spring 1918, and the Bolshevik revolution and subsequent peace treaty with Russia, which freed large amounts of experienced German troops from the eastern front after the winter of 1917. But it nevertheless failed to effectively cut off links the supply lines between the USA, Great Britain and France solely with U-boats. In between, preparations reached full strength at home: The “home front”, which saw a systematic mobilization of men and materials, although there was much confusion in the first months. With the Selective Service Act, 2.8 million men were called to arms. In the spring of 1918, the first 100,000 troops arrived in France and were welcomed by the battle-weary Allies, who just repelled the massive last-ditch German spring offensive of 1918. At a rate of 10,000 per month, they reached one million in the summer, and two millions at the armistice. The “doughboys” were only supported by aviation and artillery though, and the unwillingness to take good account of the Allied experience led to very high casualties in the first operations. Jeffery number one used in Pershing’s 1916 punitive expedition against Pancho Villa in Mexico. For the anecdote, the only US armored side-cars took part in the expedition, like the 1915 armored Harley Davidson motorcycle. 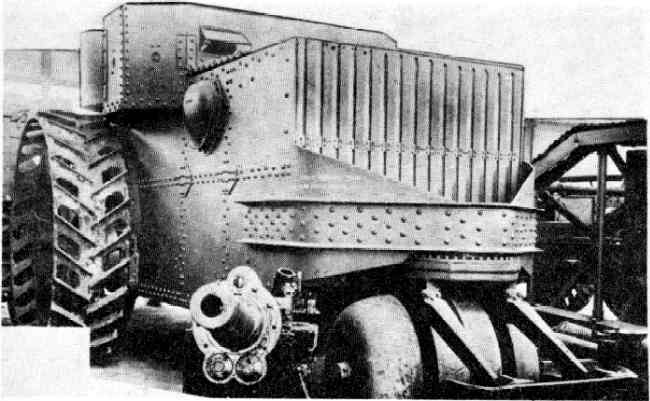 Although machine-gun-armed softskin vehicles were tested in 1898-1900, like the Davidson-Duryea Light 3-Wheeled Car or the Davidson Auto Battery Armored Car, real armored car development started in 1915 and many more or less known manufacturers joined the fray, mostly for export, but in some case for the AEF engaged in France, including King, White, Jeffery, Dodge, Davidson-Cadillac, and Ford. Mack and Locomobile furnished mostly supply trucks, and information about armored cars built on these chassis are pretty scarce. Other truck builders which produced for the western front were Brockway, Diamond T, FWD, Garford, Gramm-Bernstein, Indiana, Kelly-Springfield, Packard, Pierce-Arrow, Republic, Selden, Service, Sterling, U.S. Motor Truck Co. and Velie among others. King ACs: The first AFVs in service with the US Army (1915), never shipped to France. USMC 1st armored car squadron Quantico. Davidson-Cadillac: From NW cadets Mil Academy Illinois, used for promotion in the USA (1915). Jeffery AC: N°1 used in Mexico, others sold to the British Authorities of India. White ACs: Several 4×2 prototypes built, from the M1916 to the M1918. Used by the National guard and signal corps. Dodge ACs: Three in action in Mexico 1916. At the time, General Pershing and his staff, confronted with a high casualty rate, were poised to consider some hard-gained lessons from the Allies.. Some officers considered tanks with great interests. Gen. John J. Pershing himself, as Commander in Chief of the American Expeditionary Forces, requested, on September 1917, that 600 heavy and 1,200 light tanks be produced in the United States. Already in many offensives, French or British tanks were deployed in support of the American infantry (under joint command). However, among the types in use, only one type was lent to the US troops in sufficient numbers, the Renault FT, although with provisional French crews. Quite quickly, the staff wanted to have trained US crewmen to stay fully independent and under Captain Dwight Eisenhower’s supervision, many of these tanks were shipped to Maryland, Camp Meade, with the 65th Engineer Regiment, to create the first American Armoured unit. Renault FT with US troops in the Argonne, 1918. In mid-March, this unit was renamed 1st Battalion, Heavy Tank Service and was prepared to be shipped back in France in the late March. Eisenhower’s talents were however not lost, and he was kept at home to supervise the tank training center at Camp Colt in Gettysburg, Pennsylvania. The 1st Battalion was back on the frontline in early April and participated, until November, in many American offensives. 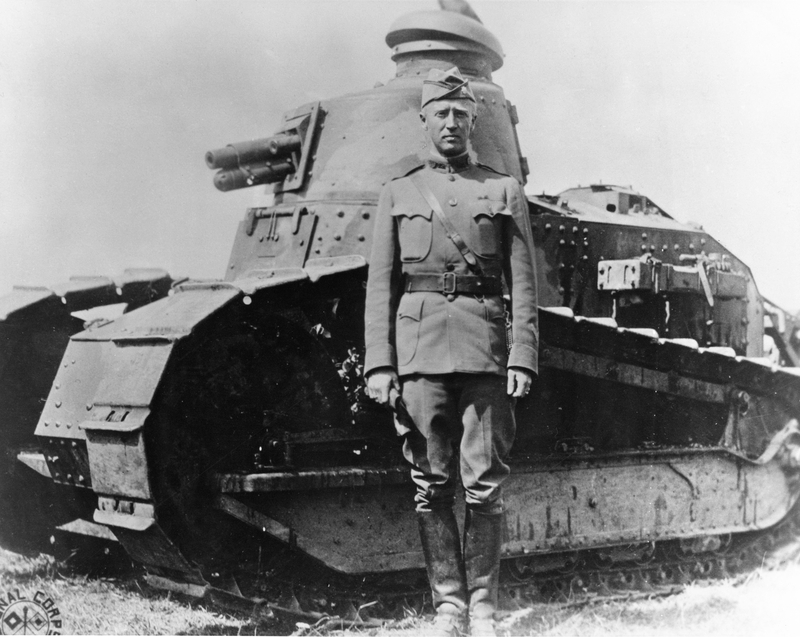 Lt. Col. George Patton, in particular, militated for the use of domestic tanks, and as a stopgap solution the Renault FT was chosen for licence production. Patton will eventually become the first active US tank officer in France. He was Pershing’s officer in the Mexican Punitive Expedition of 1916, conducting the first motorized attack with three Dodge ACs accompanied by the 6th Infantry Regiment. He then joined France and reported to General Garrard in November 1917, testing a Renault FT at the Champlieu test grounds. He then headed the 1st Provisional Tank Brigade in August 1918. Later renamed the 304th light tank brigade, it was part of Colonel Samuel Rockenbach’s Tank Corps joined to the AEF. The AEF had armored support for the last six weeks of the war, but the attrition rate suffered by engaged units was staggering. The tank corps was left with only fifty serviceable vehicles at the end of the Meuse-Argonne campaign. First actions of the AEF tank corps took place in the Saint-Mihiel salient in September 1918. The latter was divided into three tank corps, Patton heading the 1st one (304th brigade) with 144 Renaults obtained from the French, participating in the battle for St Mihiel. In addition, there was an addition of a heavy tanks corps provisioned with British-built Mk.Vs, operating with the American 27th and 30th Division before the end of the war. Since 1917, various constructors submitted designs, the diesel-electric Holt being one of the most promising. In the end, only Ford stayed into the loop, eventually leading to the 3-ton model. 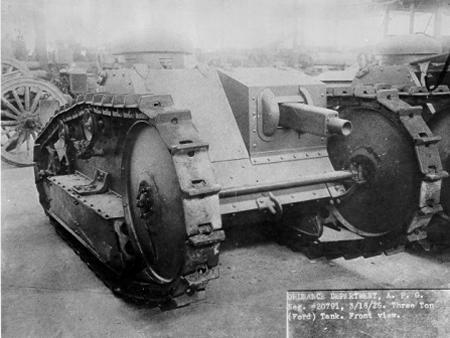 But only the M1917, 6 ton type was made available in enough quantity to be operated in the meantime. Patton in France, 1918 alongside Renault FT tanks of the 304th Tank Brigade on November 6, 1918. The armistice halted all project and orders and only the most promising and advanced project were concluded: Around 900 6-ton M1917 light tanks were delivered until 1920 and 100 Mark VII “Libery” heavy tanks (with the 67th Infantry Tank Regiment). 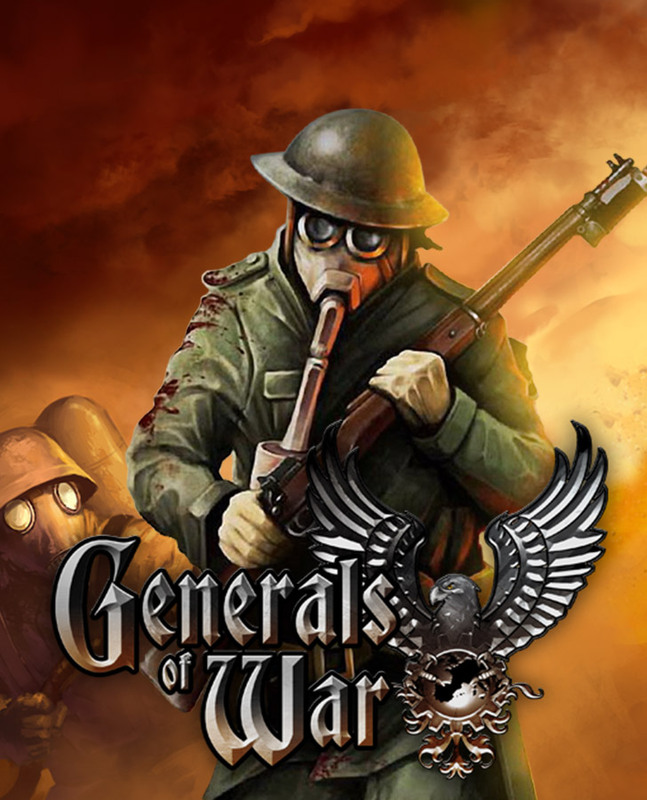 The Army was reorganized, the tank corp was dissolved and the tanks were affected to various infantry units in 1920. The only intervention seeing tanks engaged in a semi-independant way occurred in the U.S. Marine Expeditionary Force to Tientsin in April 1927. 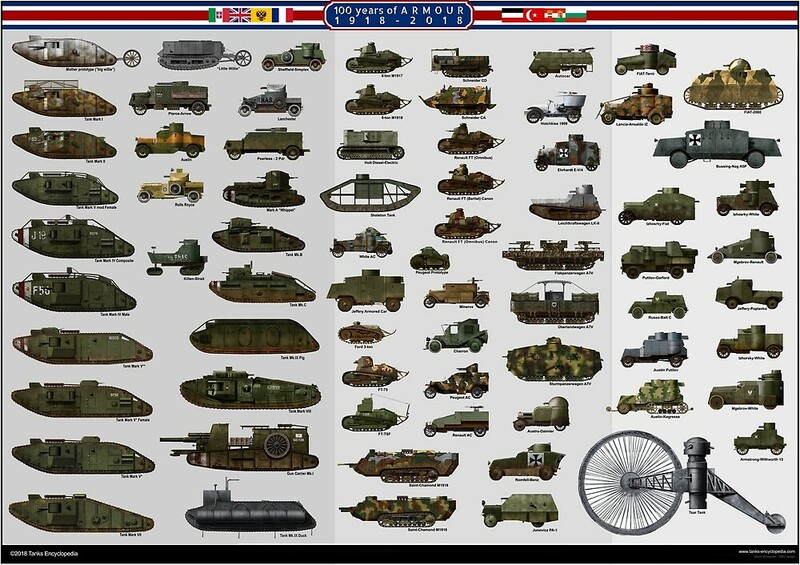 After 1928, most tanks were mothballed or scrapped. But since 1922 by law all tanks had to be part of the Infantry. The wall street crash and economic crisis nailed down any further prospects until the mid-1930s. Only prototypes were tested in between, but report to the ww2 section for more. Another experimental steam tank was built by the well-known tractor manufacturer Holt. It was a massive tractor, being driven backwards with two large wheels at the front, and a roller trailing behind for steering. The front main wheels were powered by the steam engine fuelled by kerosene-fired boilers. The rear three-wheeled roller also helped trench-crossing. The front, tall, boxy superstructure housed not only the boilers (2 cyl, 75 hp) and reciprocating engine, but also a 75 mm (2.95 in) howitzer and two 12.7 mm (0.5 in) machine-guns in sponsons, had a crew of 6 and was well armored, at 16 mm (0.63 in). Only one was built, but never left US soil. This strange tank was another one-off in tank history, and experimented with the idea of having a relatively light tank with a sort of “all of nothing” armor. In effect, the hull profile was reminiscent of the classic British lozenge shape and 7 m (23 ft) long to cross wide trenches (like those of the Hindenburg line). Only a central box for the engine and crew, topped by a MG turret, was armored by 0.5 in plates (13 mm). The whole structure was strengthened with iron pipes joined by standard plumbing connections. Being hollow, this structure was much lighter, at 8.2 tons, compared to the 12-20 tons for contemporary lozenge tanks, helping the 2 X Beaver 4 cylinder (50 hp) engines to move it forward at infantry pace (5 mph/8 km/h). It was never produced and is still preserved, restored, at the Aberdeen museum near the famous Maryland Proving Grounds. 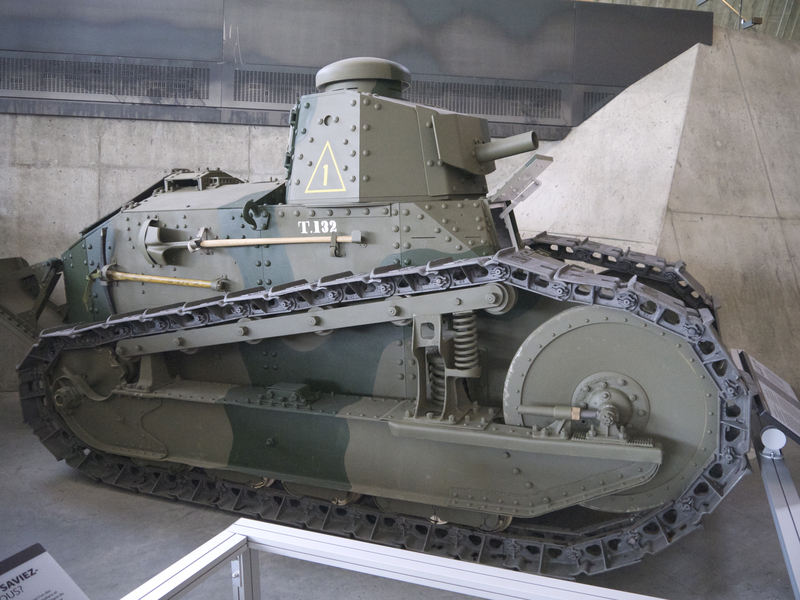 The licence-built Renault FT took quite long to see the light of day. Indeed, delays started right with Renault’s delivery of blueprints, which were all in the metric system and had to be adapted. Development took months of bureaucratic inertia and industrial delays and coordination problems. In the end, only three tanks reached the front line nine days after the capitulation, and only 950 were delivered on the initial order of 4,400, which should have been shipped before the spring 1919 offensive. Therefore, all M1917s were kept on home soil, were they constituted the first US armored units, giving valuable experience. They were used in the 1927 Shanghai intervention by the USMC before being stored in the late 1920s and the training units disbanded. Since Renault, a car builder, designed and mass-produced the famous FT, back in the US Ford was obviously pressed to submit its own design. This was to be the 3-ton tank. Even smaller than the M1917, this model was design-focused with mass-production in mind. It was very simple, lighter and more stable, sharing the same thin, long-running track-laying arrangement, but with a wider hull, large enough for a driver and seated commander/gunner side by side. The latter used a hull bow .30 cal (7.62 mm) Browning machine-gun. Just behind were located the powerpack, fuel and ammo. The commander relied on a rotating mushroom type cupola for vision, but the lack of a true armed 360° traverse turret was an obvious problem. There was no compartment separation, so the cramped interior rapidly grew smelly, hot and extremely noisy during operations. It was propelled by a twin Ford-T engine, giving 90 hp total, mated to a Ford planetary gearbox. Estimated top speed was 8 mph (around 12 km/h). Although the Army initially ordered 15,000 of them, only 15 were delivered and two reached France before the mass-produced, more satisfying M1917, were made available. Eventually, the program was cancelled with the armistice, just as Ford was gearing up for the projected delivery of 100 tanks per day. 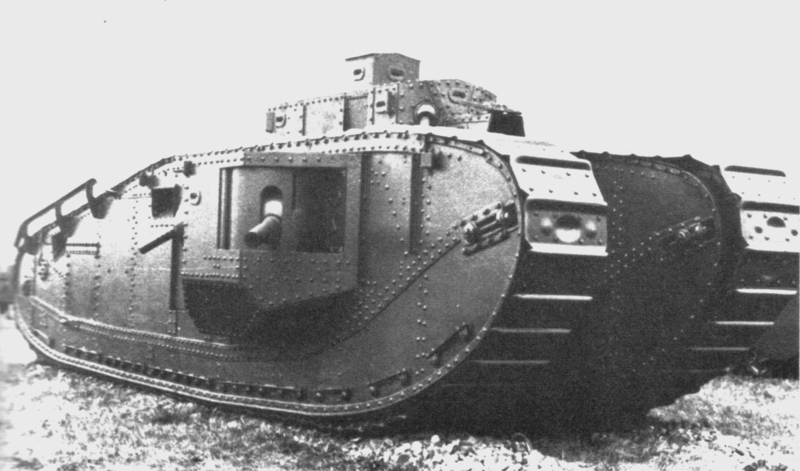 The 43.5-ton Mark VIII (called “Liberty” because of the US engines) was a joint British/US project and the first US heavy tank ever produced. It was never operational before the end of the war and the project of a joint production in France never succeeded. Only 100 were authorized by Congress and built by the Rock Island Arsenal between 1919 and 1920. Stan Lucian did you post this I am writing a Paper about the History of tanks and I was wondering if you wrote this for an author for a footnote. I did not write it. Credit Tanks-Encyclopedia.com. Fairmont Gas Engine company of Fairmont, Minnesota (which went on to manufacture the motorized railroad tenders) made a prototype of a mini tank in 1917. He did it all on his own and although the war ended before he could offer it to the US military, it was used as a fundraiser. “Do your bit, Here’s your chance, a nickel a day saves a baby in France!” I have a photograph (not a postcard) of the tank at the Iowa State Fair. A real treasure. The museum at Fairmont, Minnesota has a number of pictures of it, but almost no information on it. You really should see it! Great resource for historically interested and modellers (i am both). For anyone interested, there is a really nice 3D printed model Ford 3ton tank available in several scales on Shapeways. I got one in 1:35 and the dimensions are right on the mark (Wikipedia and others on the net got it wrong). There is also some nice footage on YouTube, hilarious. The cheaper white material has excellent detail and realistic armor texture! 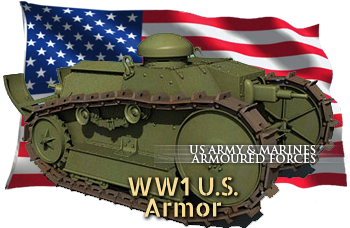 Any idea what tankettes were used during the Bonus Army march in 1932? They look like a Renault but smaller. If you are referring to vehicles ~1:54, those are M1917 Light Tanks. These are copies of the Renault FT. They were not tankettes. I have a picture of a hand written note that refers to a member of the 117th company of the tank corps. Based on the dates 1896 – 1944 I can only assume it was WWI but I can not find anything on any 117th company except infantry. Can some one point me in the right direction? I’ve done some looking and haven’t been able to find anything on the 117th company tank corps. However before the tank corps properly formed they were designated as ‘Heavy Section’ of the Machine gun companies (Heavy section MGC) for secrecy purposes, so it might potentially be the 117th Machine gun company. Contacting a reputable museum such as the Tank Museum at Bovington or the Imperial War Museum may also be able to provide more help. I am doing a project/presentation on M9 tank destroyer, has anyone got any detail information about it. 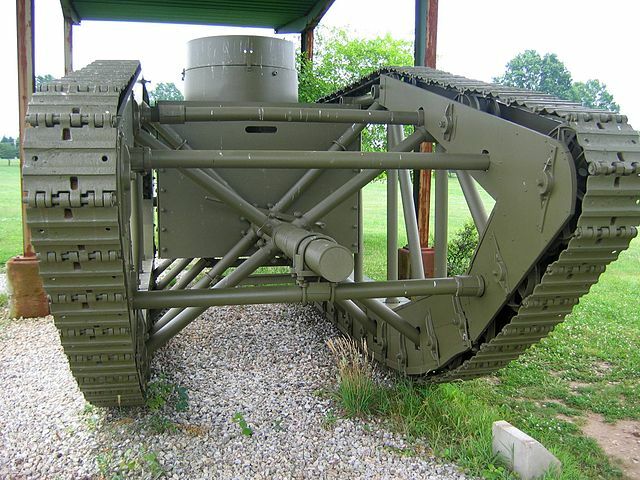 Are you aware of any Saint Chamond tanks in US Service in the Meuse-Argonne? I have a photo of one with the caption “US Tank near Dun-sur-Meuse”. There is a large “US” painted on the side. Could you share that please?